Experience the smooth ride of a new 2018 Chevrolet Cruze and never turn back. You can enjoy the whirlwind of an adventure knowing that your vehicle has superior gas mileage ratings, advanced Chevy technology, and a safety suite that makes the competition fold! 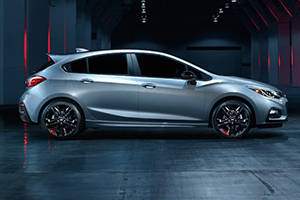 Talk with our team today and schedule a test drive in Baton Rouge, LA, you need to explore what the Chevy Cruze has in store for you. One look at this vehicle and you'll quickly see that the stylish new Chevy Cruze waits for no one. Take a step back and admire the available LED daytime running lamps. These lights shine extra bright so that you can get where you're going with ease. Take a peek inside, and you'll find that you have unlimited possibilities with the Chevy Cruze's 47.2 cu-ft. of added cargo space! This means that whether you're planning on taking a camping trip or moving far away, your new Cruze has the room for you to make it happen! In this day and age, you need a vehicle that's advanced. Access the essentials with the MyLink 7" diagonal color touch-screen giving you the convenience you deserve. It's as simple as jotting in your destination and letting your car lead you towards great things! 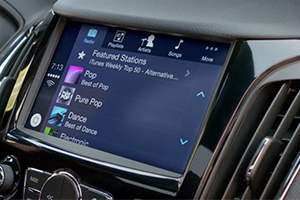 You can even blast your favorite tunes knowing that your Chevy Cruze has access to Apple CarPlay and Android Auto! The beauty of the Chevrolet Cruze is that it presents drivers with the myChevrolet Mobile App so that you can take your technology into your own hands! It's time to schedule a test drive with our Chevrolet dealership. You need to drive out the new Chevy Cruze with 52-mpg and 702-mile driving range. See what a single tank of gas can do for someone like you! This 1.6L Turbo Diesel Engine offers more than any one person can imagine. It starts with you and amazing fuel efficiency. Get ready for an adventure when you sit behind the wheel of a new Chevrolet Cruze.